Welcome to this award-winning podcast series from the UK Parliament. 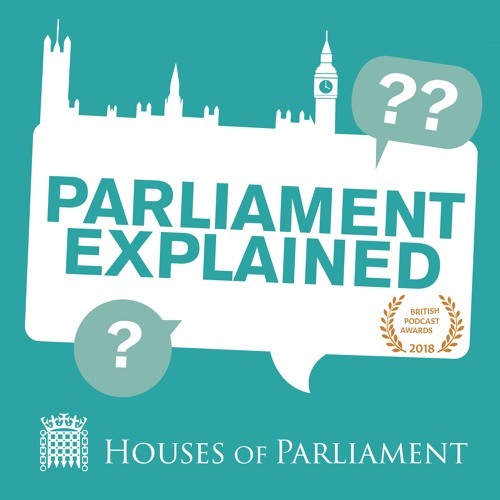 In the series, writer and comedian Meera Syal guides you through the people and processes of the UK Parliament – what Parliament is, how Parliament scrutinises the work of the Government, and how you can get involved. In this politically impartial series, Meera is joined by staff from the House of Lords and the House of Commons, including Regional Outreach Officers, Clerks, Committee Specialists and Doorkeepers, who talk about their roles and areas of expertise. Guests also include Helen Jones, Chair of the House of Commons Petitions Select Committee, and Baroness Corston, Chair of the House of Lords Social Mobility Select Committee, who talk about the work of the committees they have led. Also featured is Maria Lester, whose petition calling for increased funding for brain tumour research led to a high profile debate in Parliament, resulting in government action. Make sure you listen to the entire series, which has been nominated for a British Podcast Award 2018, and why not leave us a review too!